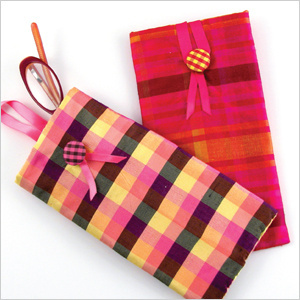 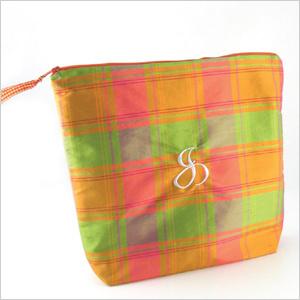 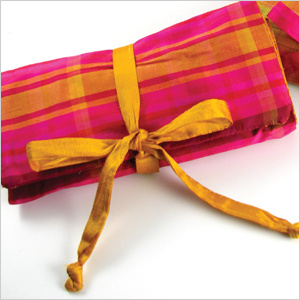 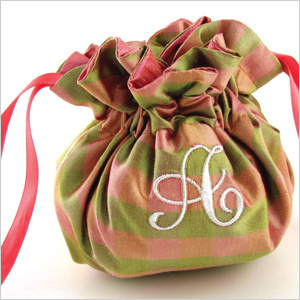 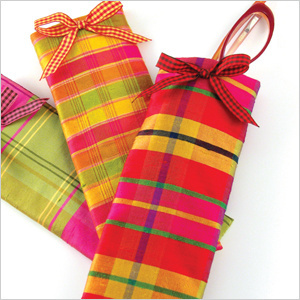 Our plaid silk travel accessories are handcrafted from imported hand-loomed silk shantung. 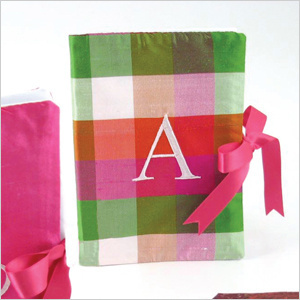 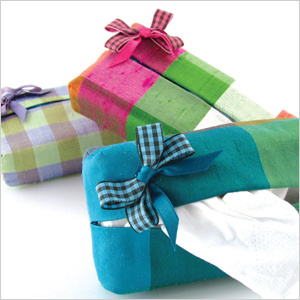 Each silk fabric is woven in colorful, non-traditional plaids making this collection a customer favorite. 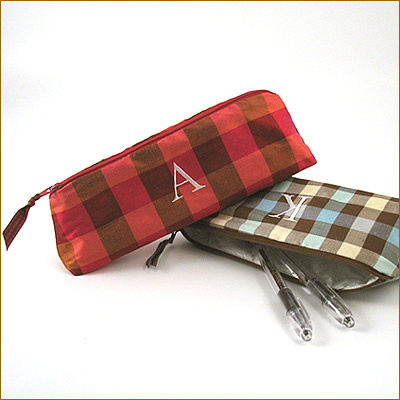 Accessories are accented with bright gingham ribbon detail and available in all our signature travel accessory shapes. 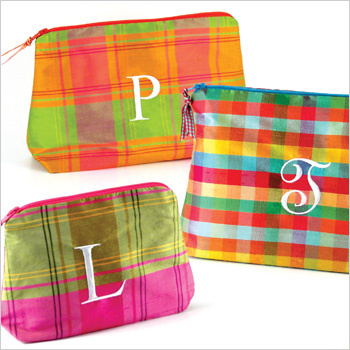 Bags are lined in our water repellent fabric for easy clean up. 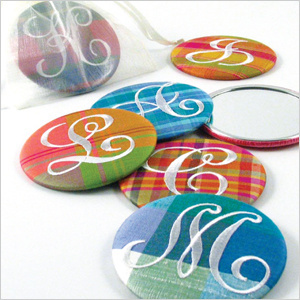 Most of our styles are available with or without personalization. 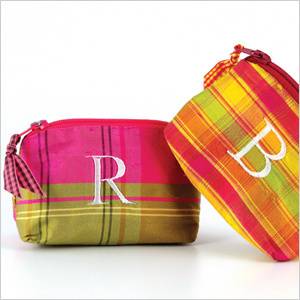 Made in the U.S.A. by Objects of Desire.